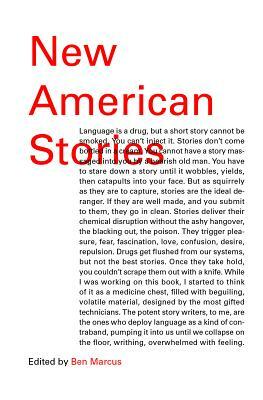 New American Stories is an anthology of, more than anything, the weird. Frustrated and weird characters, weird isolated suburban streets, explosive wars whose origins are weird and unclear. The American landscape that each of these stories suggests is bizarre but also familiar. The variation of work in this collection is expansive, from brief stories by relatively un-laureled young writers, to an eerie new story by Don DeLillo. The whole thing is exciting, valuable, and worth reading from front to back, or back to front, or in whatever order you want. The ideal place to read this book: the train. Whether your commute is short or blissfully long. Ben Marcus is the author of four books of fiction: The Age of Wire and String, Notable American Women, The Flame Alphabet, and Leaving the Sea, and he is the editor of The Anchor Book of New American Short Stories. His stories have appeared in Harper’s, the New Yorker, Granta, the Paris Review, McSweeney’s, Tin House, and Conjunctions. Among his awards are the Berlin Prize, a Guggenheim Fellowship, and a Whiting Writers’ Award. He lives in New York, where he is on faculty at Columbia University.